Oregon School of Massage graduate Cheryl McDonald brings a rich and varied background to her practice. 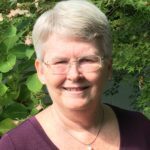 For many years, Cheryl worked as a registered dietician in health facilities including senior living centers. She also worked as a teachers’ aid, performed children’s ministry work and was a manager of a document printing center. Prior to settling in Portland, Cheryl lived in several places – California, Arkansas and Boston, just to name a few. She is married and has two children. That was 5 years ago – and was the first step on Cheryl’s journey to becoming a licensed massage therapist. During the couples’ class, Cheryl was introduced to the basics of massage, and discovered the feeling of touch resonated with her in a significant way. Cheryl followed her new discovery and signed up for classes at the Oregon School of Massage. After the first few classes, it became clear that massage tapped into her professional and spiritual leanings, and that she had found the next phase of her journey. While at OSM, Cheryl was thrilled to study Hakomi, breathwork, chair-massage, and manual lymph drainage. She served as a teaching assistant for over five terms in Massage Fundamentals and Kinesiology. Cheryl became a licensed massage therapist in 2018.